So, maybe you love the Pigalle and Lady Peep spikes, but know that the heels are just not practical for your lifestyle or job? 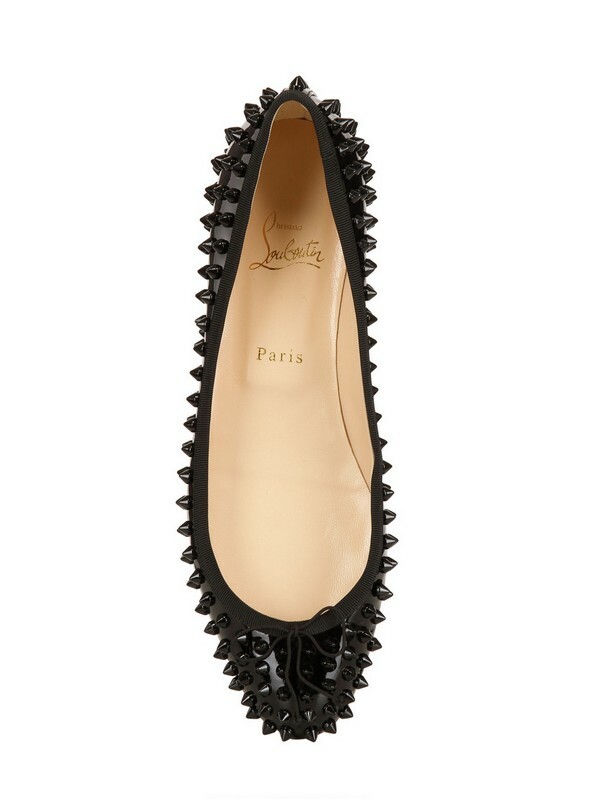 Not to worry, you can now enjoy the luxury of Christian Louboutin spikes in a svelte ballerina flat called Sonietta. 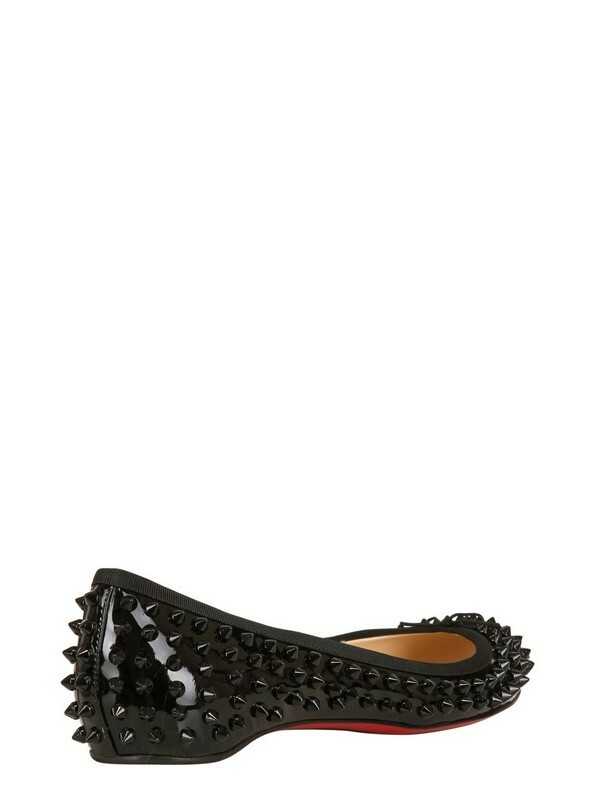 The patent spikes stops these pretty little ballet pumps from being anywhere near boring. If you are after a flat with attitude, they don't some much more fierce than this! Plus a gorgeous flash of red sole!